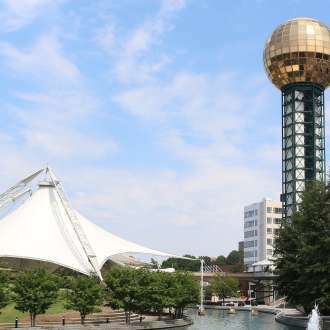 Towering 266 feet above the city’s skyline, the Sunsphere and the Tennessee Amphitheater are the only structures remaining from Knoxville’s hosting of the 1982 World’s Fair. 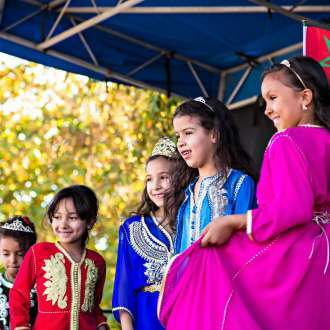 The Park is divided into three sections — a festival lawn, a performance lawn and a lake area. Lush green turf carpets the Park, creating a wonderful landscape for recreation, festivals, and performances. 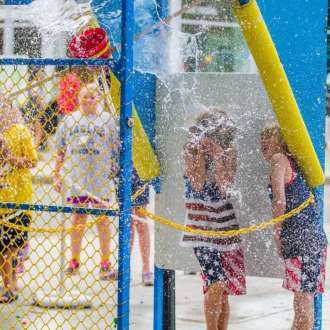 The Court of Flags Fountain’s interactive water play area operates seasonally from March until the end of October. The fountains are favorites for summer-time play and the playground area is open year-round. There are paved walking trails throughout the Park that connect to the Second Creek Greenway, which carves a route down to the riverfront, passing along the edges of the UT campus before connecting with the Neyland Greenway over to Volunteer Landing Park.